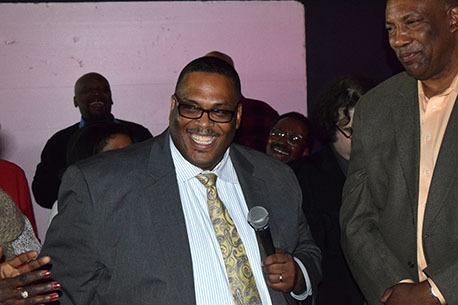 With votes from all but two of the 29th Ward’s 44 precincts tallied, Ald. Deborah Graham appeared to have lost her re-election bid to Police Sgt. Chris Taliaferro. Taliaferro, a first-time candidate who was easily outspent by the incumbent, won 6,279 votes, or 52 percent. Graham, a former state lawmaker appointed to the 29th Ward seat in 2010, garnered 5,768 votes, or almost 48 percent, according to unofficial results from the Chicago Board of Elections. In the nearby 37th Ward, Ald. Emma Mitts defeated challenger Tara Stamps, getting 5,211 votes, or nearly 53 percent. Stamps, a CPS teacher and first-time candidate, received 4,675 votes, or 47 percent, local election officials reported late Tuesday night. Both incumbents had been forced into the April runoff after failing to win at least 50.1 percent of the vote in the Feb. 24 city election. Graham was one of several incumbents to be defeated tonight. We’ll have a full report shortly.